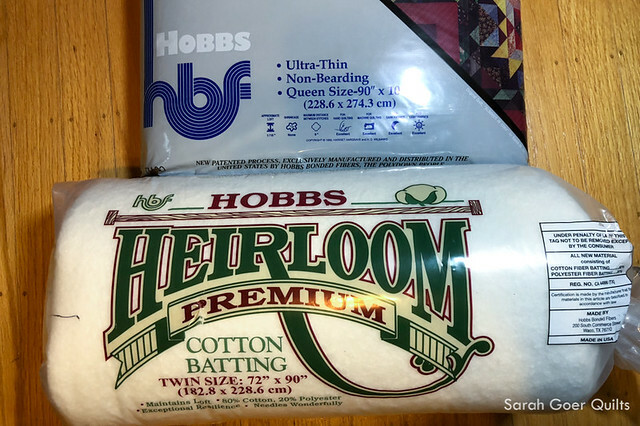 The products featured in this post were given to me by Island Batik, including products from Aurifil and Hobbs. 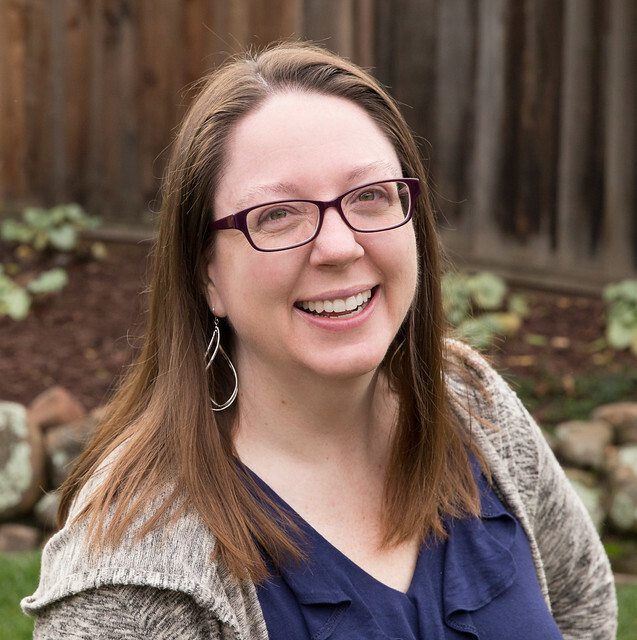 On a whim last Fall, I decided to apply to be an Island Batik Ambassador for 2018. I was excited at how the monthly challenges would push me as a designer and I loved the bold, saturated colors in many of their lines. Scroll through their Basics and Blenders for a glimpse of some fabulous color! On January 3, I was notified that I was selected to be one of 45 Island Batik Ambassadors for 2018. 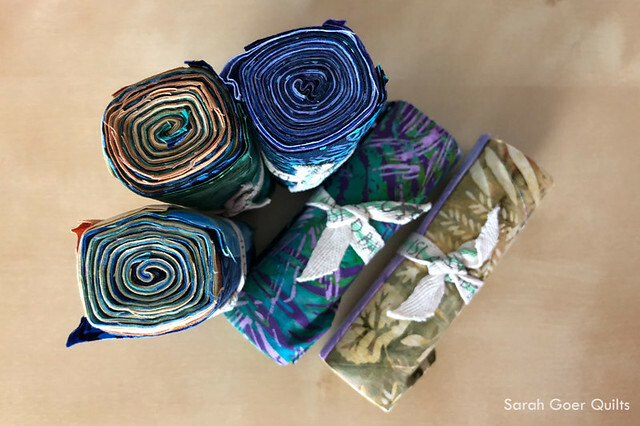 This means that from now through January 2019 I will be sharing monthly projects featuring Island Batik fabrics. And to do so, they sent me a giant box of fabrics and supplies. 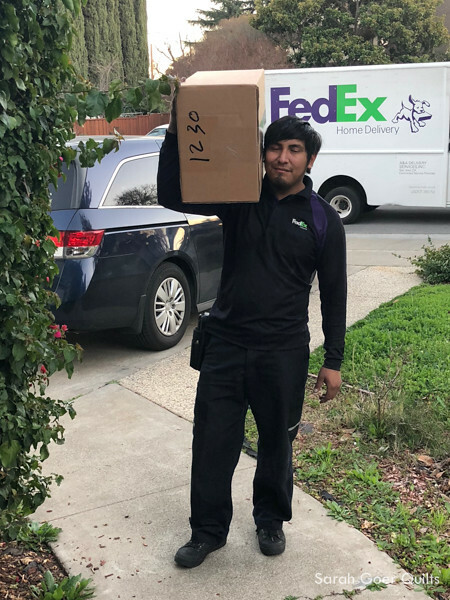 Once I had tracking info I knew it was 22 pounds... that's a big box. 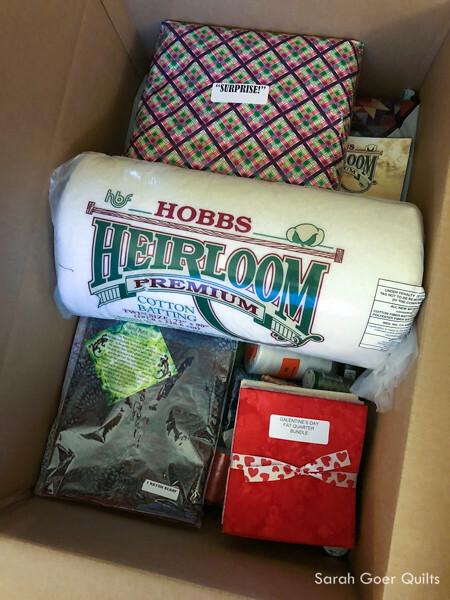 My box arrived on Wednesday and it took a while to open it up and pet all the fabric. Now I have the full show and tell of pictures to share with you. I'd love to hear what catches your eye from my box. Here's my view when I first cracked open the box. The Island Batik Foundations program is made up of their Basics, Blenders, and Neutrals collections. 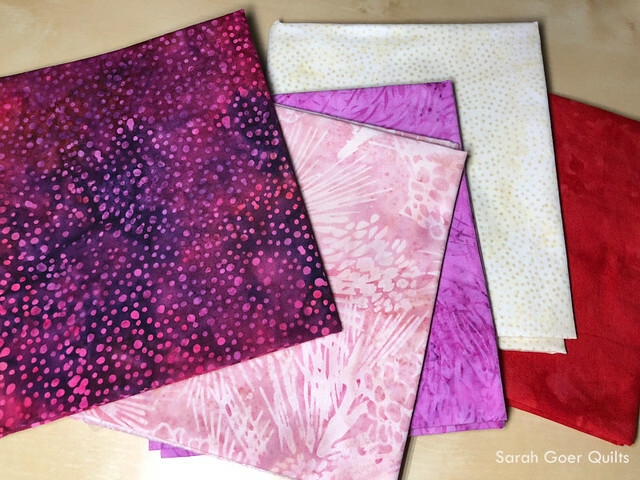 This half yard bundle is a variety of those prints. I haven't opened up this pack to fully appreciate all the different prints, but I love that one on the far left, Pinecone in Spinach. What a fabulous green! 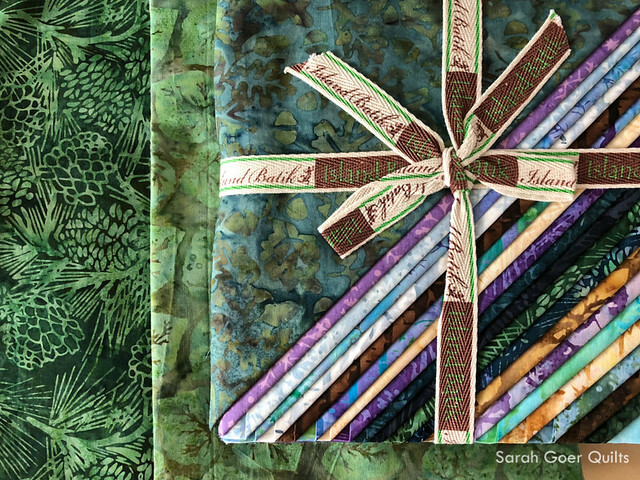 The Stack contains 42 10" squares, plus the yardage of the light and dark greens from the same collection. 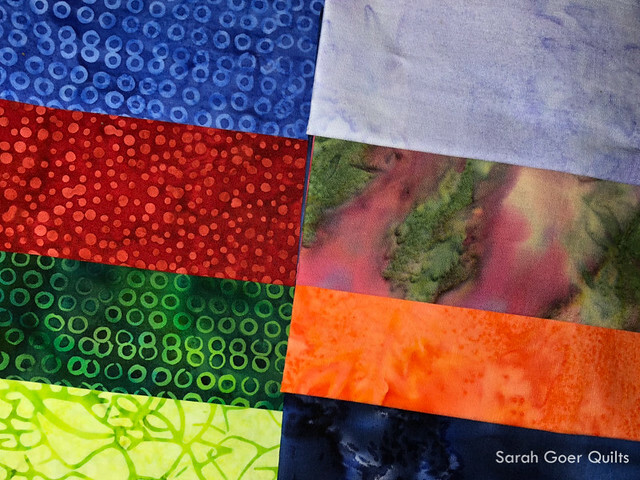 Such a bright and happy collection of fabric! This pile included 18 fat eighths and some coordinating yardage. I've already selected five of these for my first Island Batik project, which I plan to somehow finish by Sunday morning. These adorable little rolls are a variety of fabrics. Each contains four 5" strips. I love that these are mostly cool colors. My favorites! Pretty pinks and red. I'll be whipping up a little project with these in the next few days. I love that top fabric in the second photo. Oh my thread! What an exciting bundle of Aurifil. I'm already a big fan! I piece and quilt exclusively with Aurifil 50wt. I'm excited to try out 40wt. And other than the white, these may all be colors I don't have. Speaking of the white thread... that cone has 6452 yards of thread on it! That equates to over 4 1/2 large spools. 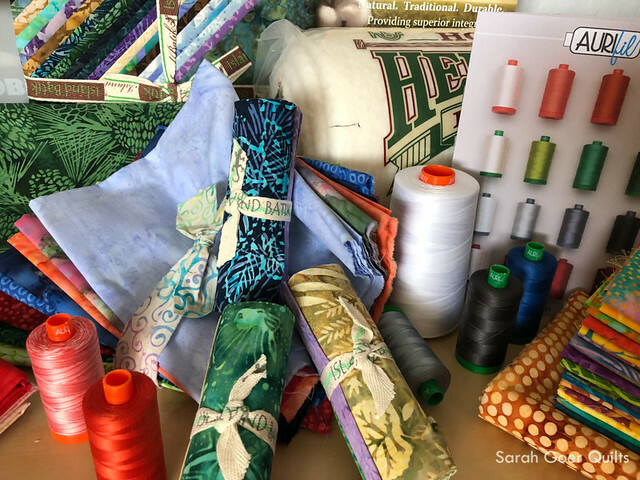 Also included were a pile of Aurifil thread brochures which share details about each type of thread Aurifil makes. The fabric is yardage of Almond, from the Foundations line of neutrals. Love it! This year I'll be trying out Hobbs batting. My box included a Queen size Ultra-Thin Thermore Polyester batting and a Twin size 80/20 Heirloom Premium batting. I also received a Hobbs brochure with all the different batting samples attached. I'm envisioning a top for myself from this lovely yardage and I look forward to wearing the scarf. Honestly, I'm a little overwhelmed by this giant pile of fabric. 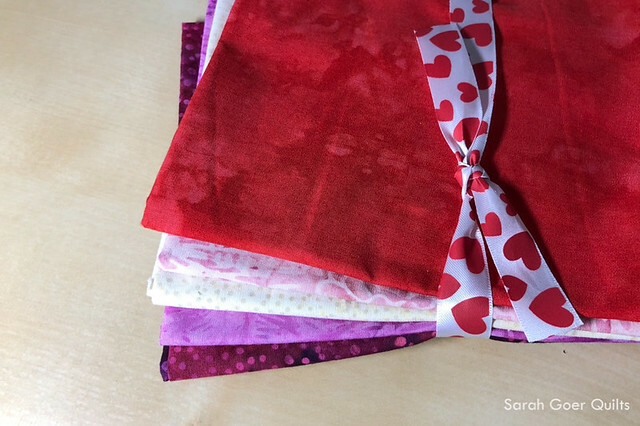 There are over 35 yards of quilting fabric. It took a little while to pull my first palette for the Mini Love event this month. I went with a selection from Morning Sunshine. I'm a planner so I'm already trying to mentally plan for which fabrics I'll use for the next few projects. What are you most excited to see me use? Posted in Fabric. Tags: Island Batik, Island Batik Ambassador on February 9, 2018 by sarah. Great reveal! Mine will be here today..... So many things, so much to do and so much fun ahead of us! It will be fun to see what everyone creates with their fabric. Thanks for visiting, Kathleen. Congratulations, looking forward to seeing your projects. Fabric looks great. 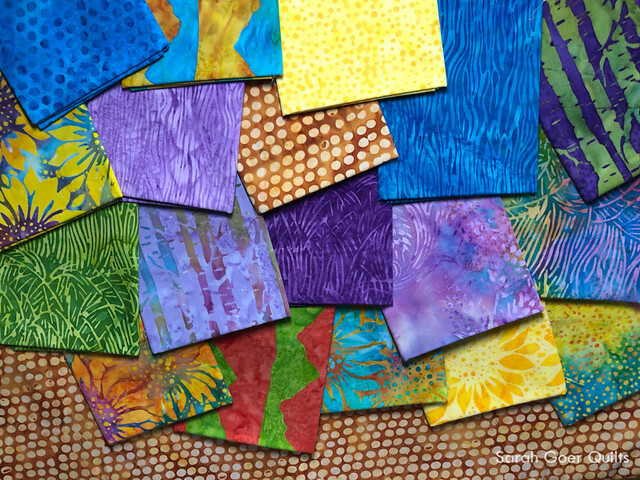 35 yards of super fun batiks...plus batting and miles of Aurifil thread. Cannot wait to see what fun projects you create with this pile o' goodness...and super curious about the super secret surprise bundle!! Happy creating! It's overwhelmingly awesome, Barbara. Thanks for visiting! Hooray! I am so excited to open mine! I am so excited that you are an Ambassador this year!!! Thanks, Alison. It's so fun to see what everyone else received. Gorgeous fabrics. I can't wait to open mine, but I'm typing to you, first, lol. My box is sitting on the table! Go go go! Can't what to see what you received! 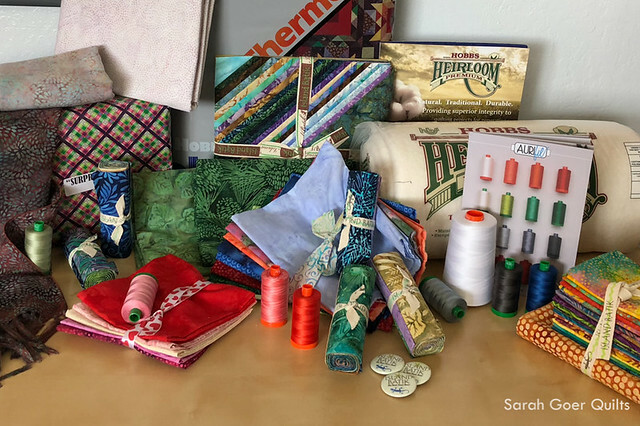 Wow - loved seeing all these beautiful fabrics. Lucky you! So gorgeous! I can't wait to see what you create with your goody stash! 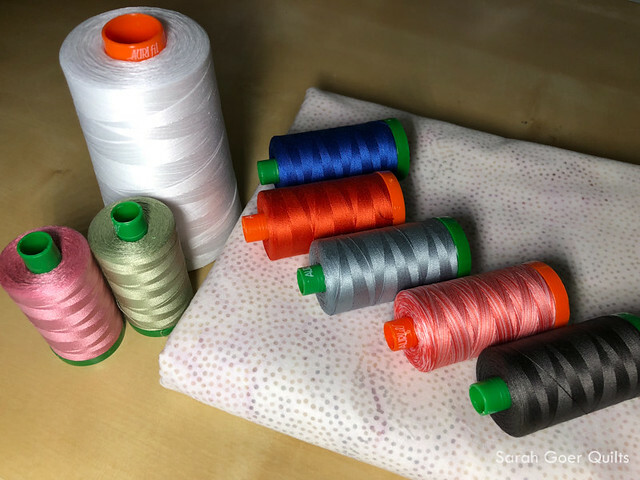 The thread colors you received are so vibrant. Have a wonderful day! Great reveal! Love the scarf you got! Thank you, Jessica. The scarf was a lovely addition to the box. What a fabulous selection - welcome to the ambassador program can’t wait to share this journey with you! Thank you, Karen. It'll be so fun to see how everyone interprets each project. I love quilt challenges for that reason. So many interpretations to the same prompt. 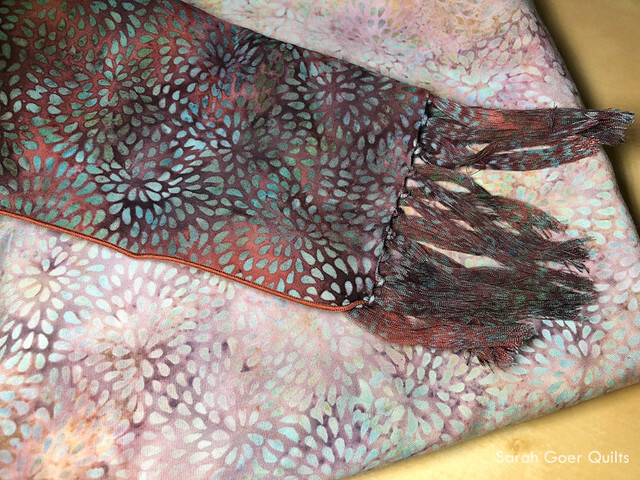 Beautiful batiks Sarah! 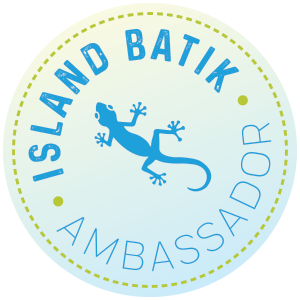 You are going to really enjoy being an Island Batik Ambassador! Have fun! Thank you, Connie. Just finished my first project. This is fun! Have fun with all your new goodies. Thanks, Anja! Starting to cut for project number two tonight! Lovely, lovely fabrics. Your plate is full! You are ambitious and going to be SO busy. I look forward to seeing what you come up with!